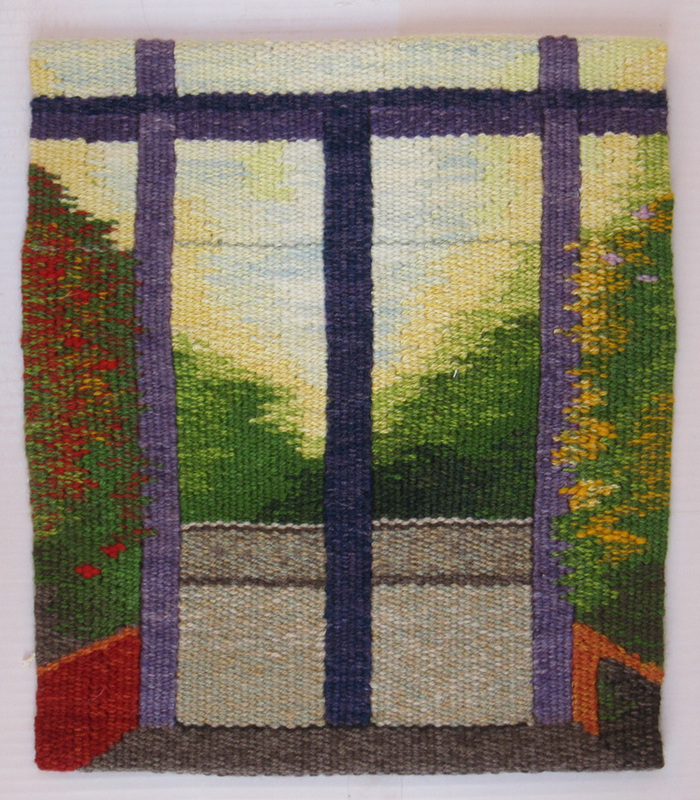 This is my entry into the ATA Unjuried Small Tapestry Exhibition, Tapestry Unlimited, opening in conjunction with Convergence in Milwaukee this coming summer. “Opening Doors” measures approximately 8.25 ” wide by 9.5″ high and is woven with cotton seine twine warp and a variety of wools for the weft. 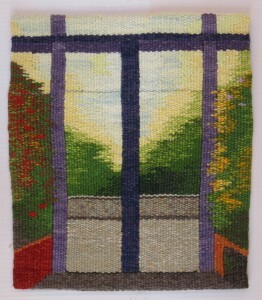 I wove it from the back of the tapestry using a cartoon with just a few vertical and horizontal lines. I sewed the long vertical slits as I wove and bundled the weft threads on the bobbins using a combination of thick and thin yarns. It was like a journey as I had to make decisions of what came next. I look forward to seeing the tapestry in the catalog. Our tapestry group from Vancouver Island (Tapis) has a group entry into the show. This is always a fun show to see as there will be many tapestries from around the world. Catalogs are available from the American Tapestry Alliance website: http://americantapestryalliance.org/exhibitions/ .